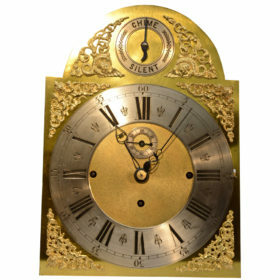 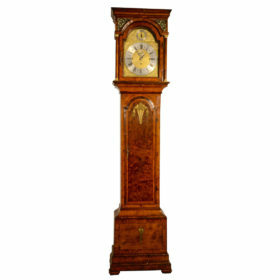 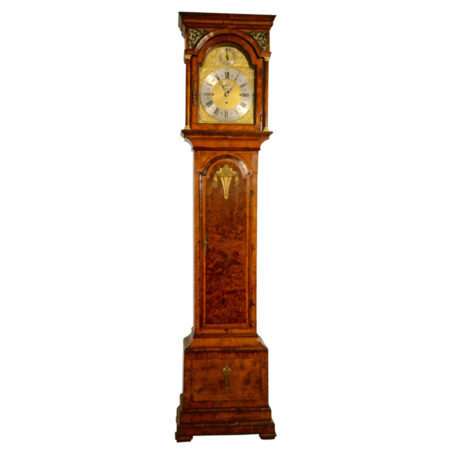 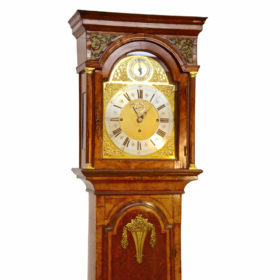 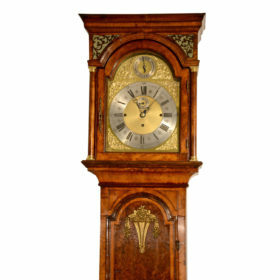 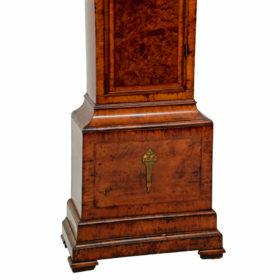 This English tall case clock is done in beautiful burl walnut and features gilt bronze ormolu detailing. 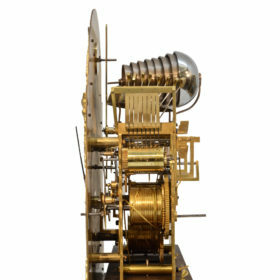 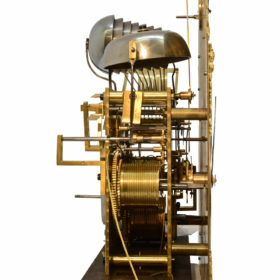 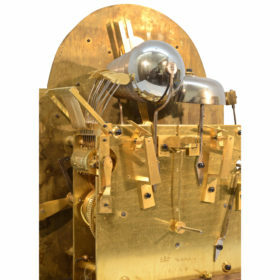 This clock houses a later 3 train movement chiming the 1/4 hours on a nest of bells. 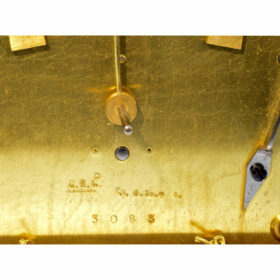 The engraved and silvered dial features cast spandrels.